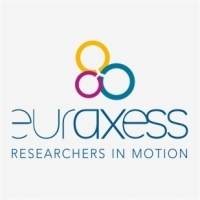 Euraxess Cracow - Regional Information Centre for Researchers, is one of ten Service centres located in Poland. We act in Lesser Poland (Małopolska voivodship) and Podkarpackie voivodship. We are part of the European network of more than 200 centres located in 40 European countries, which aim to support researchers coming to and moving within Europe. Our service centres help researchers and their families to plan and organize their move to our country, providing assistance in all matters related to mobility. We delivers free information and support service to professional researchers at the every stage of your visits in Poland. • Assistance in preparation of a common application with polish institution from our region for individual fellowships in Marie Skłodowska Curie Actions. • introduce to practical information and tips on various matter related to your professional and daily life in Poland (living conditions, cultural aspects, Polish language learning, accommodation, educational system, recognition of qualification).